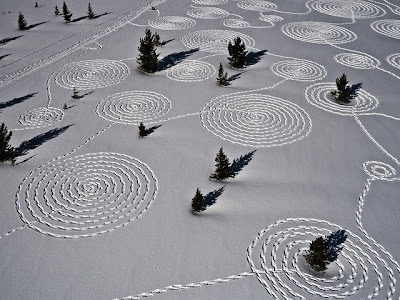 The wide open snowy meadow of Rabbit Ears Pass in Colorado was recently the canvas for some ephemeral spiral "Snow Drawings" by San Francisco landscape artist Sonja Hinrichsen and friends. The group of five snowshoers spent several hours tracking patterns of concentric circles in the snow while filmmaker Cedar Beauregard of Steamboat Aerial filmed the event with an aerial camera mounted to a remote-controlled helicopter. 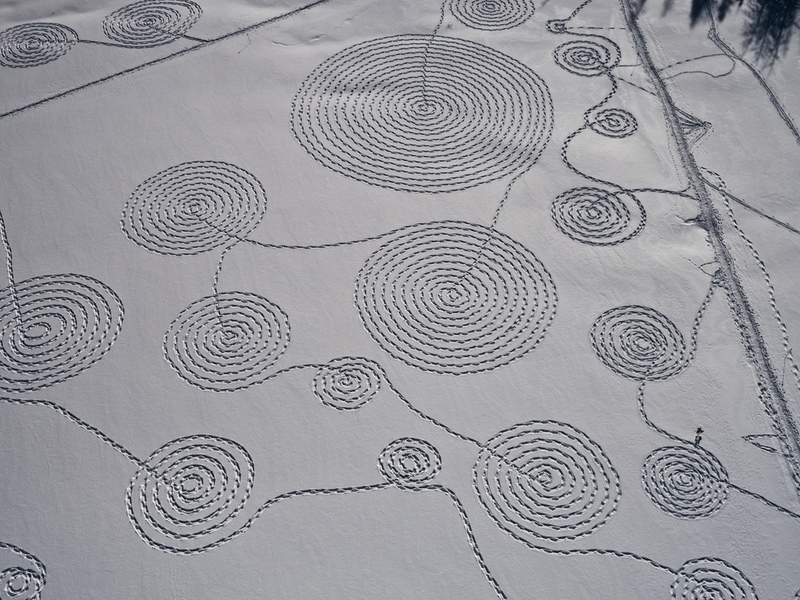 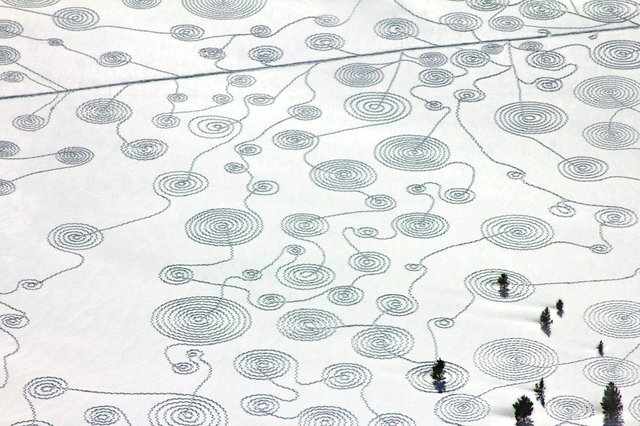 From above, this snowscape design reminds me some of Marian Bantjes artwork with all of her patterns of concentric circles, but on a much larger scale. 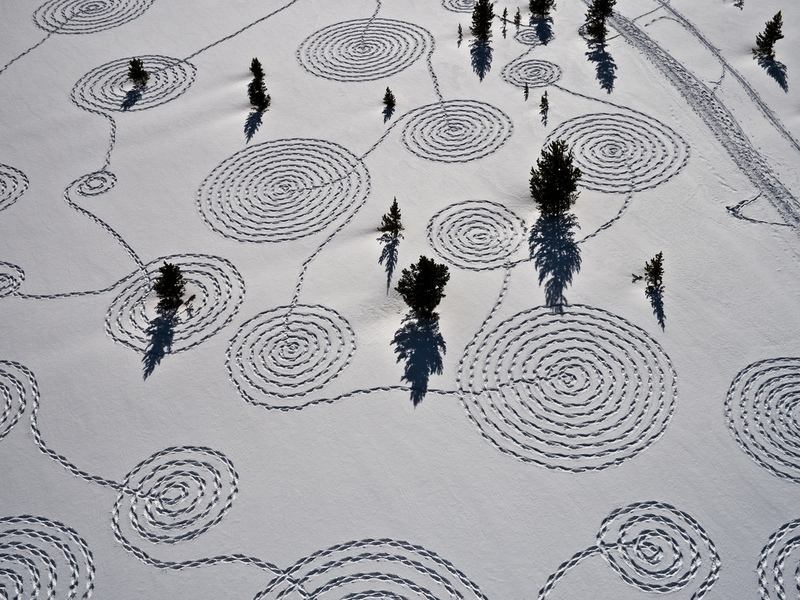 I could really go for tracking up a field of freshly fallen powder snow like this myself sometime, but with a little experimental lettering—perhaps a Robert Frost poem? 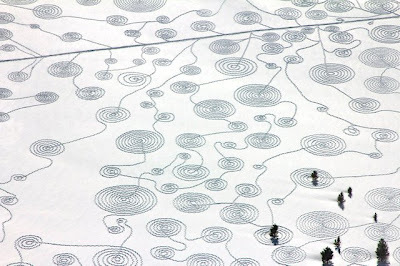 This would give entirely new meaning to the of term text tracking! 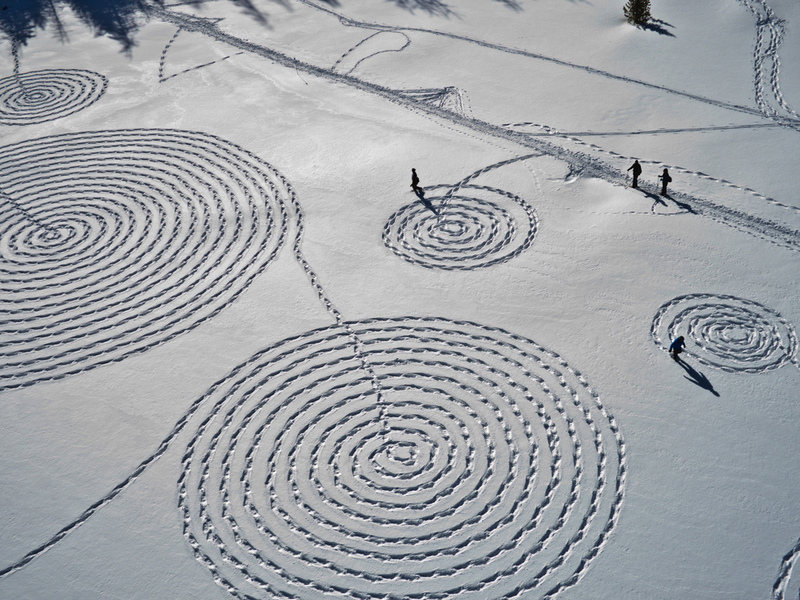 What a perfect way to spend a cold sunny day. 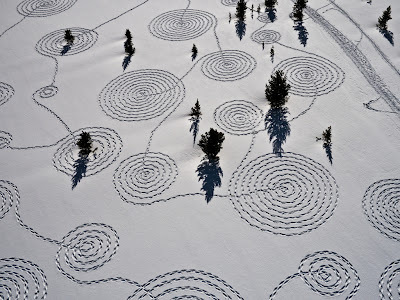 Watch another, more recent video of Hinrichsen's lovely artwork with some nice long-shadowed lighting this time. 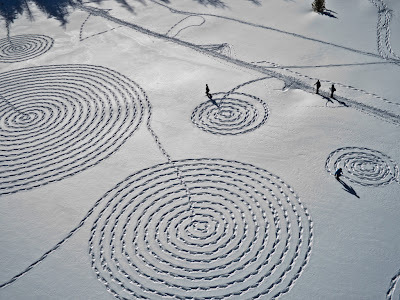 ::Photos by Cedar Beauregard and posted on Flickr. Via Designspiration.